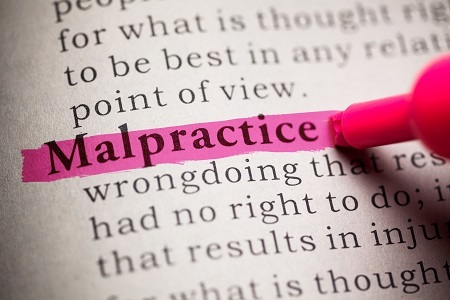 Multiple malpractice claims drive physicians to either adjust to a smaller practice setting or to quit practicing altogether more so than physicians without claims, according to a new study. A team of international investigators found that physicians facing malpractices claims are far more likely to follow of either of those responses than they are to geographically relocate their work. The findings from the eight-year national cohort shape a four-way map of reactions a physician is generally likely to have following a paid malpractice claim in the US. Their patient population included 480,894 physicians with 68,956 paid claims from 2003 through 20165. Just 8.8% of physicians reported having had 1 claim, 2.3% had multiple claims, and the remainder (88.9%) had no claims. Among those with ≥3 claims, physicians were more likely male, at least 50 years of age, and in a surgical specialty. A total of 105,707 physicians (3.4 per 100 annually) quit practicing during the observed period; 103,190 (4.3 per 100 annually) geographically relocated—approximately half of those being interstate relocations. Surprisingly, a greater rate of physicians shifted to a larger practice (141,614 [5.6 per 100 annually]) than those who shifted to a smaller practice (84,167 [3.3 per 100 annually]). Investigators found a positive association between the number of claims and a physician’s odds of leaving medicine practice (OR 1.09 [95% CI: 1.06-1.11] for 1 claim; OR 1.45 [95% CI: 1.20-1.74] for ≥5 claims). That said, most (92.8%) of physicians with 5 or more claims still continued to practice medicine. Physicians with 1-3 claims had slightly greater odds of switching to a larger practice than those without any claims. But a significantly greater association was found between physicians with ≥4 claims and switching to a smaller practice than those with no claims. Physicians with 2-4 claims had 50% to 60% greater odds of entering a solo practice than those with no claims, and physicians with ≥5 claims had 2.39 times greater odds of entering solo practice. When discussing the results, investigators emphasized that analyzing paid claims mean disregarding the approximate 70% of claims which do not result in payment. That said, paid claims are more associated with substandard patient care, they wrote, and to therefore associate with more significant consequences for physicians. The team also described the role of the “complex” relationship between practice sizes and quality of care. It’s commonly more difficult for lone practitioners to adopt improvements in beneficial infrastructure, care process, and outside support—despite the fact that one-fourth of US primary care patients are treated by solo practitioners. This risks associated with solo practices could be amplified by a physician accruing multiple claims in their practice. “The lack of institutional and peer support may be especially problematic for physicians with multiple claims, amplifying risks of additional claims and harms to patients,” they wrote. Investigators concluded that professional isolation—a critical facet and outcome in the assessment of malpractice claims’ effects—is not a well-studied clinical trend, and that should change moving forward. The study, “Changes in Practice among Physicians with Malpractice Claims,” was published online in the New England Journal of Medicine.